The Tumbled Brass effect and treatment is achieved by placing raw die cast brass products into a tumbler containing small stones about the size of a 5 cent piece. The raw brass products are then ‘tumbled’ to allow the stones to remove unwanted casting marks and to give the brass a unique worn appearance. 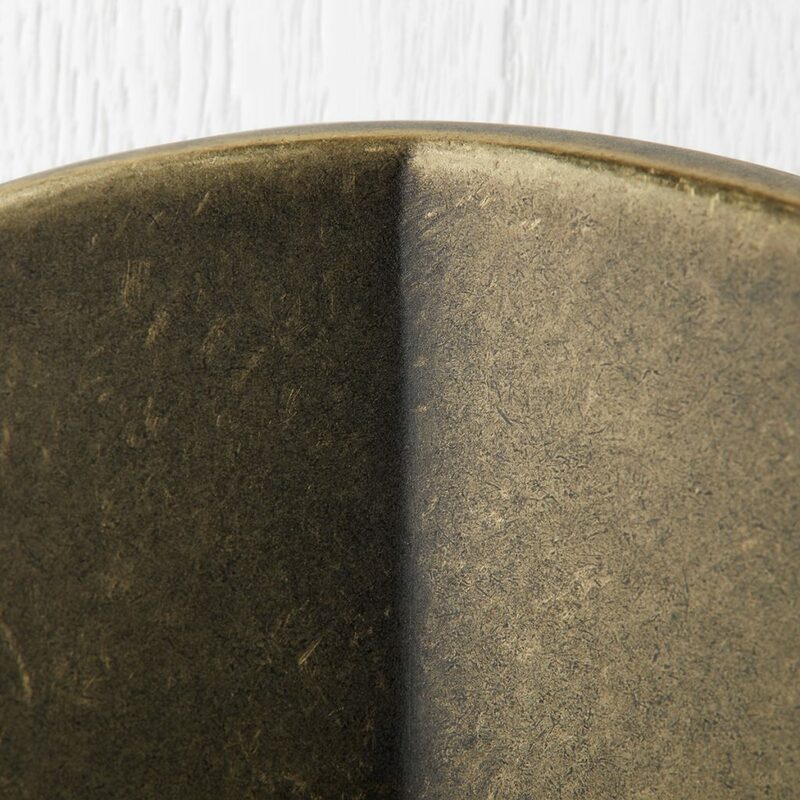 Products treated in tumbled brass will initially appear light in colour, as the surface of the products is not treated with any chemicals this will allow the raw brass surface to react with the natural atmospheric conditions in which the product is used. 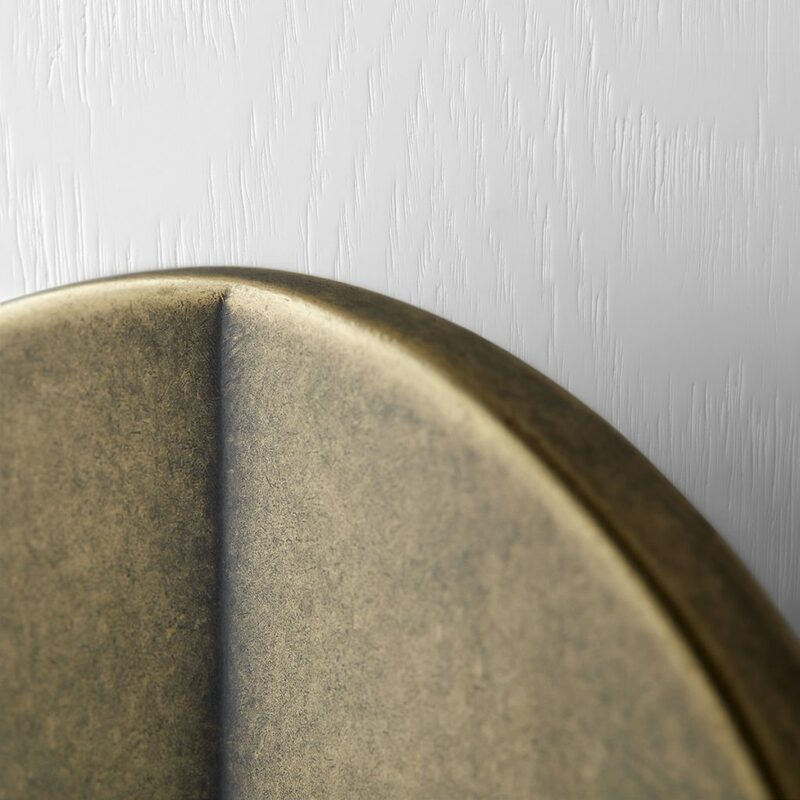 Clients will expect the tumbled brass products to begin ageing and appear darker over time, some shading of this affect is noted on our tumbled brass image gallery. The Tumbled brass process and finish is deemed to be an organic treatment where pieces will be unique in tonal appearance. 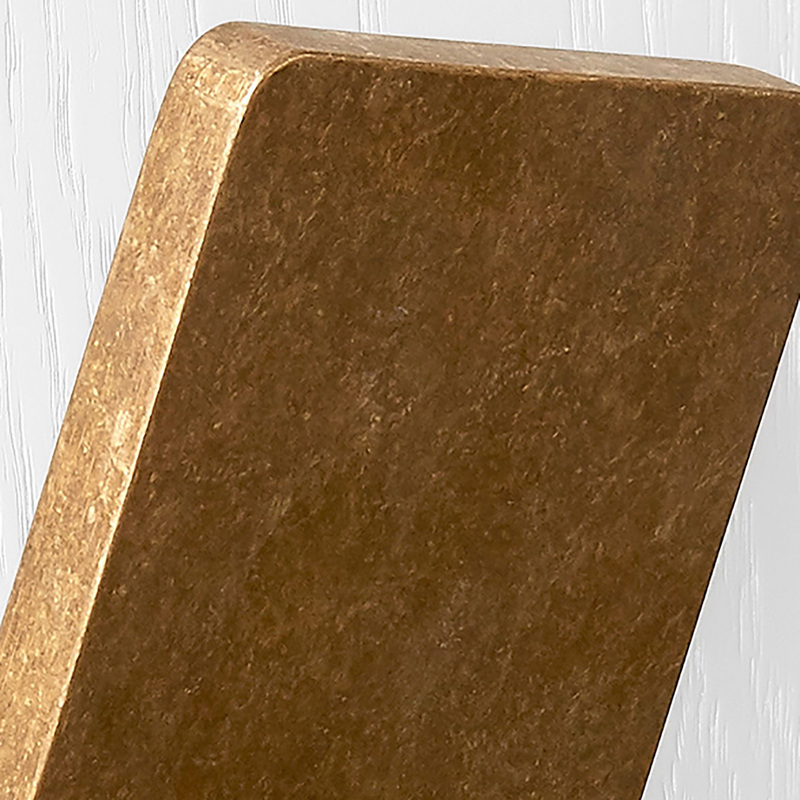 All of our products begin life as tumbled brass in some way before undergoing other finishing treatments. 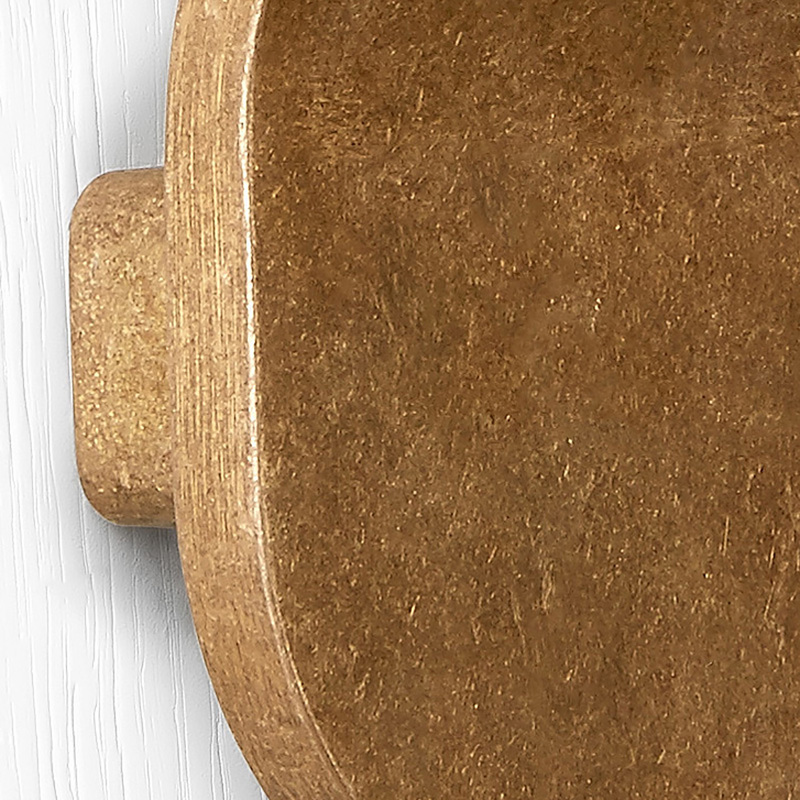 The tumbled brass finish gives these designs a beautifully worn patina that develops unique characteristics over time. Areas that are touched by hand become lightened and highlighted while areas that are rarely touched darken and oxidise as they age to create a beautiful and unique lustre. While the Tumbled Brass finish complements many interior styles, it is particularly suited to organic interior design. Clean with a soft cloth. The tumbled bronze products do not require chemicals, water or soap for cleaning.